Oopsie rolls are a no-carb bread substitute. Their texture is spongy and their flavor is neutral, so they’re very versatile. They’re called oopsie rolls because they were first made by mistake, but what a fortunate mistake that was! Oopsie rolls are keto and low carb rolls that are flourless and gluten-free. They are all over the low-carb world, so of course I had to try them. They are fluffy and tasty. They’re not truly bread, mind you. They are softer and spongier and are more like a thick savory crepe in texture. But they can definitely fill a void for someone who misses sandwiches, or for anyone on a low carb diet who wants to hold a burger in their hands. The texture of oopsie rolls is actually fairly similar to spongy white bread or bun, and their taste is neutral. So they can go with either savory dishes such as sandwiches and burgers, or you can use them as the base for yummy desserts. Just like crepes, you could fill them with whipped cream and berries, for example. Since they are basically eggs and cream cheese, they’re not just low carb, but also very appropriate for those following the keto diet. My main complaint is that oopsie rolls are on the delicate side and tear quite easily. Which means that using them as a bun substitute for a burger is even messier than usual. They also require some amount of work – separating eggs and whipping egg whites is never fun! 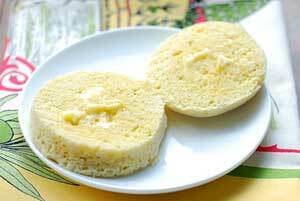 So if you’re feeling too lazy to bother with baking oopsie rolls, you might want to try this quick 90-second keto bread, which is made in the microwave and does not require whipping egg whites. 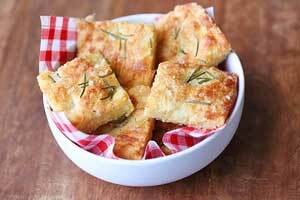 I often default to this keto bread, simply because it’s so easy. Although it’s not as tasty as oopsie rolls, and not as close to hamburger buns. How do you store oopsie rolls? Unfortunately, they do not store very well. In the fridge, they become soggy. Even when I put them in a partially open storage bag lined with paper towels. You might have more luck freezing them (separating them with wax paper squares), but I haven’t tried that. Oopsie rolls are a no-carb bread substitute. Their texture is spongy and their flavor is neutral, so they're very versatile. Preheat oven to 300 degrees F. Line a cookie sheet with parchment paper and lightly spray it with nonstick spray. In a separate bowl, whisk together the yolks, cream cheese and salt, until smooth. Using a spatula, carefully fold the egg whites into the cream cheese mixture, working in batches. Work by placing a mound of egg whites on top of the yolk mixture, then gently fold the yolk mixture from under and over the egg whites, rotating the bowl, again and again until the mixture is incorporated. You want to use the folding technique because you want to keep the air bubbles intact in the egg whites. Spoon 6 large mounds of the mixture onto the prepared baking sheet. Gently press with a spatula on the top of each mound to flatten just slightly. Bake about 30 minutes, until golden-brown. Cool a couple of minutes on the cookie sheet, then gently transfer the oopsie rolls to a wire rack to cool completely. Oopsie rolls are best eaten on the day they are made. They do not store well.